Remember my previous post about the Talika Indonesia launching a couple of months back? 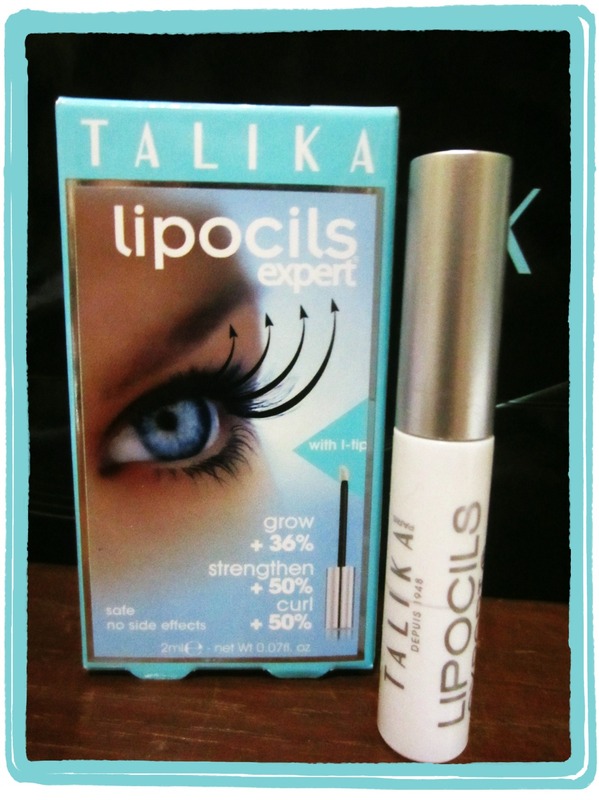 Well I've talked about their world famous Talika Lipocils which is one of their universal best seller product, and how I've been wanting to try it because I have problems with my lower eyelashes (as in "lack of lower lashes"). Well you're probably already aware of how I love these Talika Lipocils Expert, because I have included it in my April Favorite Products as one of my number one favorite products! And I swear, it is by far, one of the most amazing product I have tried so far. - curl up by up to 50%. 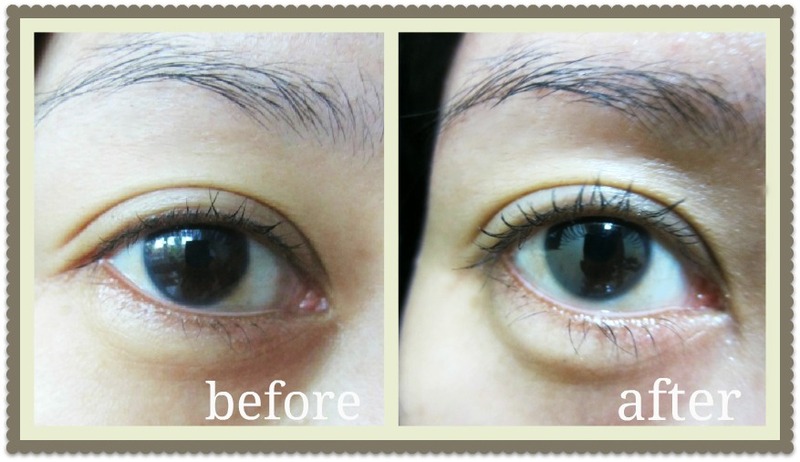 It is a lash enhancer which composed from a special blend of natural actives. It also has no side effects. I received the mini sized Lipocils Expert which has a foam applicator, but the normal size Lipocils Expert would have a combined foam + mascara brush applicator. You use the foam applicator to apply product at the root of the lashes along the eyelid, and then the mascara brush to apply on the lashes. Apply it on both upper and lower eyelashes for maximal effects. The consistency is clear and color-less, it's a bit thick but not sticky or greasy at all. It's really easy to apply, it only needs less than 2 minutes to apply, and you can use it everyday too (before sleep and in the morning). It felt comfortable on the eyelids, it would feel a little bit wet but you can use your mascara right after using the Lipocils. Look at my lower lashes, it's thin, sparse and almost zero near the outer corner. I love mascaras because it accentuates my eyes, so I hate it if I couldn't get any mascaras on my lower lashes because there aren't any lashes there! Any eye makeup would be prettier with thick lashes on both upper and lower eyelashes, right? It would accentuate your eyes even more. But so far it has been a fail for me. I always dreamed of having a little more lashes down there but thought that there's nothing I can do about it. But I am so wrong, ha! If you have similar problems like mine then don't fret, because I think I finally found the solution to this problem. It is of course, the Talika Lipocils Expert. Within 28 days I can actually see the difference on my eyelashes!! It is now more prominent even without mascara! You can see that Talika Lipocils Expert can really live up to their name, no wonder that this is one of the sought-after product for eyelashes. You can see from the photo above that now my eyelashes is longer, thicker, and more curled up! 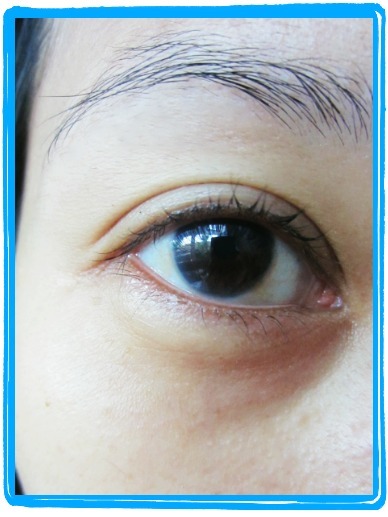 And I now have lower eyelashes, yippie..!! They are not prominent enough yet but i can see new lashes growing out near the corner, and the other lower lashes is now longer and thicker too so when I wear mascara down there, it finally shows! I am a satisfied user. I couldn't thank Talika enough for allowing me to try this Lipocils Expert. If you have similar problems like my eyelashes then I highly recommend this product for you. But remember, you must use it daily and regularly for minimal of 28 days to make the product works. It is expensive but it's really worth the price, especially if you're like me who have "lack of eyelashes" problem, or a "thin and short eyelashes" problem and been trying to find a product that could fix it. Your entries will be visible after my approval so All entries that does not apply with the rules will not be counted and I will not published the entry. This giveaway will end on July 27, 2012 at 24:00pm. This giveaway is open for INDONESIAN ADDRESS ONLY! Winner will be announced here on July 28, 2012. I need it for my gauzy lashes. So Talika could help me to make my eyes shining. note: i wrote the mandatory Q on my previous comment. I wrote mandatory Q on my previous comment. i have done first 4 point..
i need talika lipocils expert because i have same problem like you..huhuhu,even the upper lash too.. 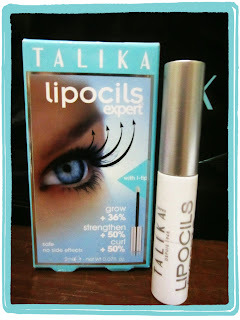 I really need Talika Lipocil Expert because I have a very thin lashes, and your review looks promising. sorry i forgot to mention my FB name.. I've been stalking this product for quite a while =="
I want to give it to my best friend..
She has a problem with her irritated eyes so the lashes are fallen down.. I'm sorry but I'm not sure whether I've submitted twice about Liking Talika Indonesia on Facebook or not..
And to be honest, my eyes are very sensitive, thus forcing me to stay away from mascara. It's hard to find mascara which is not irritate my eyes. 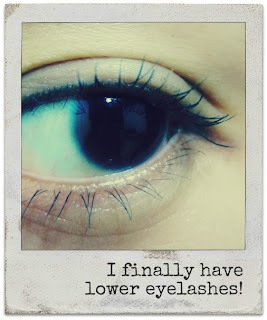 I'd really like to try this product out, because just like you, I have almost no eyelashes underneath my eyes. It would be fun to see if it would work as well on me as it did on you! Follow Talika Indonesia via Twitter. Posted on my blog's sidebar! Bulu mata ku pendek >.< dan gak lentik.. Siapa tau dengan talika bulu mataku tumbuh ..
Semoga bisa dapat free product ..